At the Griffith College Limerick campus, there are a broad range of courses available in full-time, part-time and blended learning delivery modes. 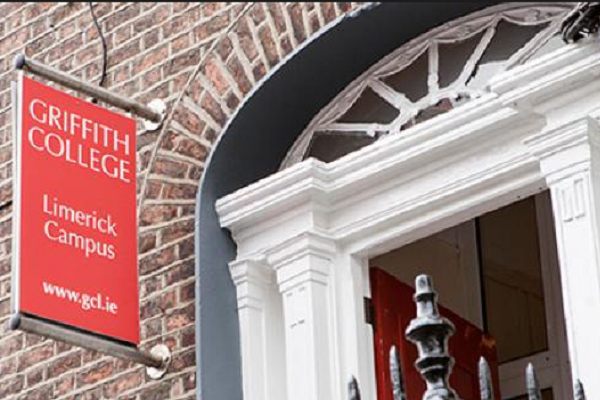 Griffith College Limerick offers courses in Business, Administration, Computing, Hospitality, Accounting, Engineering, Childcare, Social Studies and professional qualifications. All courses range from Level 5 to Level 9 on the National Framework of Qualifications (NFQ). Griffith College Limerick is on O’Connell Avenue in the heart of Limerick city. As a city centre location, public transport available close-by and Shannon International Airport is less than twenty kilometres from Limerick City allowing for ease of access to and from the home countries of the multinational student population at Griffith College Limerick. There is a courtesy Bus to Griffith College Limerick from Thomond Village student accommodation with drop out in the morning and pick up in the afternoon. Griffith College offers its students a range of health services and is affiliated with several excellent GP services located close to the college. Griffith College offer internationally recognised postgraduate and undergraduate degree programmes, complemented by a wide range of professional, short term and corporate training educational solutions. The city centre location of Griffith College provides easy access to many student amenities including clubs, concert halls, theatres, bowling alleys, shops, restaurants and sporting activities.